Wm. 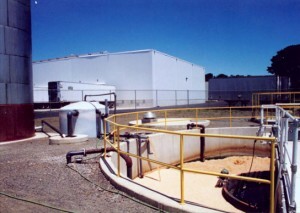 F. Hill and Assoc., Inc. has designed many wastewater treatment facilities ranging in hydraulic capacity from 2,000 gallons per day to 600,000 gallons per day for municipalities, commercial and residential development, and industry. Various treatment technologies have been employed including; conventional activated sludge, extended aeration, aerated lagoons, and sequencing batch reactors. Wastewater treatment systems have been designed for both stream discharge and spray irrigation of treated effluent. Facilities have also been designed with flow equalization and various forms of biosolids handling and disposal, including reed beds.